I wore my Pendeza tights out to dinner the other day. When I asked my husband what he thought, he asked whether I was wearing the tights right now. To me that is a result! He couldnt even tell, I was muy impressed. I really like this range of tights and recommend them to anyone looking for skin colour tights for women of colour. They are also of really good quality and I managed to return home without any runs in my tights. Pendeza Tights are available in the UK from the AfroDeity Online Store! I have recently gone back to swimming, taking Sebastian with me once a week. For some reason the first week I went I thought I wouldn't get my hair wet. Of course I did. Obviously the Chlorine in pool water can seriously damage our hair in the long term. You really need to be careful when it comes to swimming. Before I leave the house I put a decent lathering of avocado oil on my hair like a pre-poo. Then when I get to the pool I wash my hair through in the shower, if your hair is full of clean water it makes it harder for the chlorine etc. to get into the strands. The alternative would be to wash the hair through and then apply the avocado oil, but this can depend on your pool set up. Once home I shampoo my hair - twice a month this must be a clarifying shampoo to help remove any excess chlorine or residue. If you go swimming more than once a week it is probably worth co-washing and shampooing only once that week. Then I use the K2H Deep Conditioning Treatment Mixed with the Herbal Essences Hello Hydration. I leave this in for an hour while I sort out the kids etc. In the past I have also deep-conditioned with Coconut milk or mixed in avocado/egg. Once washed out hair feels amazing and I style as usual. I always air dry when I do this swim regime as i don't want to damage the hair anymore. If you have a swim regime let us know what you do to keep your hair healthy. Take part in our survey. Let us know how you get hold of your JBCO. Let us know if is a hassle or if you cant get it at all? Do you have trouble getting JBCO? Which Brand of JBCO do you buy? AfroDeity Store - Selling the Fountain Jamaican Black Castor Oil exclusively in the UK and EU - OPEN NOW! If you have any queries, please do not hesitate to contact us on sales@afrodeity.co.uk. The Edgestick will be sold at AfroDeity! I own one and my family keep comming round to use it, an excellent product. Absolutely one of my favourite stretching products. My Mum has braids and she even uses it to tidy up her edges. Want to know more about the Edgestick click on previous posts here! Email us for more details sales@afrodeity.co.uk about AfroDeity's Online store opening and discounts for regular customers. and for our North London AfroDeities AfroTherapy as giving you 20% OFF any salon service just for you at the Afrotherapy Salon in North London. Go to the website and print this voucher. On a Budget (Part 3)-Whats in Your Kitchen? I met a friend of mind the other day and she was upset because her hair was perpetually thick and difficult to manage. She had relaxed the hair three weeks ago and it was already difficult to comb. I had a look at it myself and her hair was so incredibly dry it didn't surprise me she couldn't comb it. at the thickest point she had lots of broken short hair because she was combing harshly due to hair feeling thick. The problem wasn't that her hair was thick and needed relaxing more often (we often convince ourselves that our genetics is what makes our hair unmanageable). But if she acquired some good hair habits her dry brittle unmanageable hair could easily be maintained. I suggested the mane and tail conditioner I use to co wash once a week and the Ojon hydrating shampoo to wash once a week. Also the K2H 365 leave in conditioner to use every day. However, You don't have to spend copious amounts of money to maintain your hair, everyday things in our kitchens will also do the job. 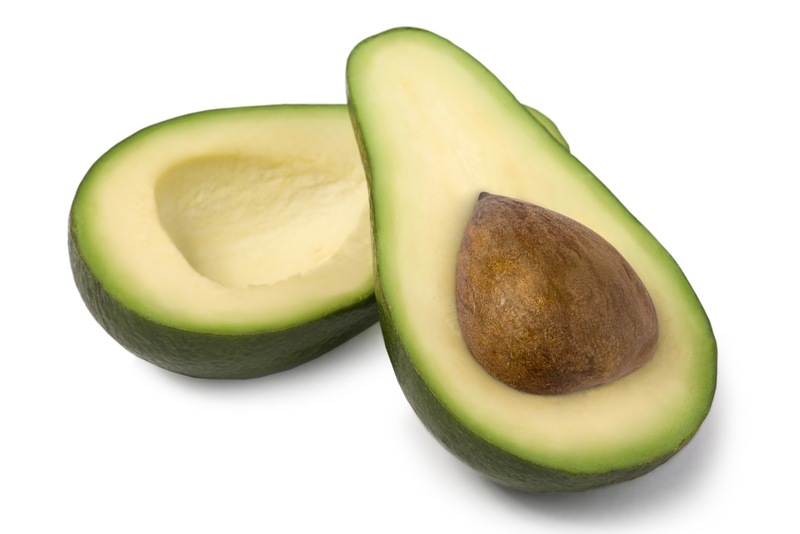 Mayonaise, eggs, avocado and even banana are known fr their replenishing properties and are great for infusing moisture. Olive Oil is good as a hot oil treatmnet for dry brittle hair. Vinegar is useful for conditioning and treating dry scalp and hair. Do you know of any other home remedies, Let us know afrodeityuk@yahoo.co.uk. This concludes the on the budget series, Want more of this email us. People are always asking themselves, how do I keep my hair in good condition on a budget? I found more excellent recipes for hair masks for dry hair on eHow that I thought you might like. So if your on a budget, and don't want to have to buy expensive products these recipe for a protein and a moisturising conditioner can help revive your dry brittle hair and wont cost you a fortune. Apply to hair after shampooing, from root to tip. Cover with plastic cap and leave on hair for 30 minutes. Do this once a week to infuse moisture/protein into brittle hair. (I tend to deep condition once a week and co-wash mid week), then RINSE. I alternate between protein and moisture. Use luke warm water, if water is too warm it will remove moisture from the hair. You should see results in 2-3 weeks, then you can do this treatment once a month to maintain. See eHow for more useful recipes. I found a really good pre-poo recipe for dry hair on eHow that I thought you might like. So if your on a budget, and don't want to have to buy expensive products this recipe for a pre poo can help revive your dry brittle hair and wont cost you the earth. As you will be aware getting the right skin tone for tights as a woman of colour can be nightmare, and can also generally be quite expensive. This is where a company called Pendeza gets it right. I tend to wear jet black tights as getting brown tights that actually match your complexion can be a pain. Obviously with my problem of scarred legs tights is a must have in my wardrobe with when I am wearing skirts. My Pendeza Pantyhose turned up over the Christmas break and I was really excited to use them. I choose the Tone 10 as I thought this would be closest to my complexion and it was spot on, I think they would be okay to use if I tanned a bit as well. These tights come in 5 tones and are of excellent quality. On the website the darker tones are harder to distinguish between but from the one I ordered it seems they can be used for quite a large range of skin tones. The tights are smooth and the material strong so they didnt snag much. I am awful for keeping my tights snag free. You can buy these tights in the UK from the AfroDeity Online Store! So concentrating on the K2H Shampoo and Conditioner for Damaged today. This is officially my favourite I LOVE LOVE LOVE, this set. K2H really does mean Kind to Hair and this Rephair Curative set for damaged hair is my absolute favourite of all the K2H products. The shampoo and conditioner contain Ylang Ylang, Ginseng and some other essential oils. After use, my hair felt silky smooth and soft. I had to restrain myself to keep my hands out of it. I decided to use this instead of the mane and tail conditioner one evening and got really good results. Ylang Ylang oil is a great oil to apply before shampooing, for sun-damaged hair and can also help to prevent split ends. I have used in the past before swimming to protect my hair from chlorine (or sea water). The other oils are Chamomile, Arnica, Bladderwrack, Dandelion and also green tea extract. After receiving a few emails this week asking for advice on products to use I thought I better address the issue of Regime and having good hair habits. There is no miracle hair product to make your hair grow longer (especially if you think this can happen overnight) and you have to love your hair the way it actually is, no product can really change the texture of your hair, it grows from the roots a particular texture and you have to get to grips with that first before you can truly learn how to manage it. Even if you relax or braid your hair eventually your hair will grow.... from the root and you really have to appreciate that this is your hair before you can even begin to develop good hair habits. That being said a lot of your research into products that are good for your hair will be mainly down to trial and error and recommendation. Good Regime - Don't believe the hype there us no miracle product but how you use the products is important. Washing your hair at regular intervals, removing the dirt from your scalp, introducing moisture and protein to your hair with conditioners and alternating between them. Time - Your hair wont grow overnight you need to give it time to adjust to your new routine as with anything else. You need to give it time. Good Hair Habits - Introducing a pre-poo into your regime, balancing protein and moisture and rotating products. I also find taking pictures of my hair regularly gives me an idea of where I was and where I am now and gives me a sense of acheivement or shows me where my hair needs work. Write to us if you want to know more and let us know what your regime is and how long it took for you to get there! I really like these products, but I am going to focus on the K2H Shampoo and Conditioner for Itchy Scalp today. Although my scalp isn't always itchy, if I don't keep up with my regime and wash my hair regularly I do find that I scratch my scalp alot which is definately not healthy. The shampoo and conditioner contain Tea Tree, Peppermint, Eucalyptus and some other essential oils. The smell of the shampoo is invigorating and when it is on your scalp it gives a lovely tingly sensation to letting you know that it is working on your scalp. The shampoo is a strange brown colour but you wont even notice it once you take in that lovely minty smell. Well I like it anyway. Probably because I live on these odours due to chronic sinusitis and hay fever... you get to love the smell of eucalyptus and tea tree. The conditioner again is wonderful to smell ad my hair felt great after using these products. I commented before that my ends felt a bit dry after using this the first time, but I mixed the conditioner with some olive oil the second time round and it worked wonders. Oh yeah I forgot to mention, no more itching! and my sinus felt clear! So my verdict: 8/10 for itchy scalp suffers, throw in some Doo Grow Anti Itch Oil and you should be set. Try it and let me know how you get on , but this set has definitely won me over. Hopefully some of you will have visited AfroDeity's Best of Amazon to check out all the fun products we promote there. However, I thought it might be useful to note that on the right hand side of the page there is a section for Hair Tools which features some of the wonderful tools we have reviewed and raved about here on AfroDeityUK. So if you really aren't interested in getting your hair care products online (We have a comprehensive list here on this blog) we will be detailing ways to find those must have products today, whether you are natural, relaxed or in between. Xsandy's Hair & cosmetic store located in Lewisham Shopping Centre is the only hair and cosmetic store in the South East of London owned by Afro/Caribbeans. 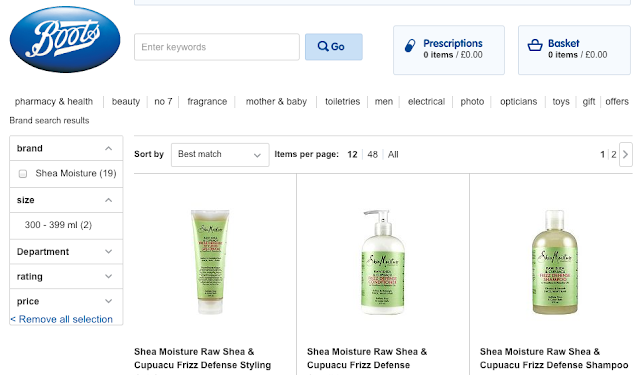 Main stream stores like Argos and Boots sell some black hair care products like Shea Moisture and Hair Dryers you can see our article on Argos and black hair for more info. Although these are large department stores, they sell ranges of products which can be used on black or afro hair. Selfridges has the GHD, Phyto and Frederic Fekkai ranges in their stores and lots of helpful staff to help you with the product for your hair type. John Lewis has the beautiful Ojon Oil range. My favourite hair dresser in North London who also have their own online store with the best costumer service and who I thoroughly recommend. They also sell items in store, but if your not sure where to shop online this is a good place to start. They sell KeraCare, Joico, Phyto, Root2tip, Curls, CurlyQ and Morrocan Oil. To find a local Hair dresser check out No Scrunchie. The online site for afro Caribbean salons with peer reviews. Black Hair and Beauty Magazine new online magazine site. 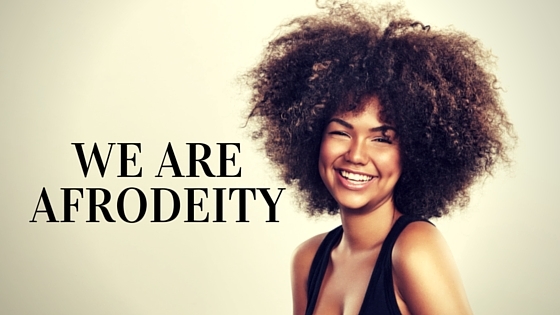 Other ways to get started are just to search google, yahoo etc, but you can email us here at AfroDeityUK and we can connect you with the products you need, no matter where you are, in the UK or abroad. If you know of any hair care stores that you would like to highlight, let us know we are always eager to get info on great hair care stores and salons.